Back on the blogging wagon, hopefully to stay! Tonight we are going to have one of our favorite meals. BBQ pork tenderloin with pear salad dressed with raspberry vinaigrette and candied walnuts. 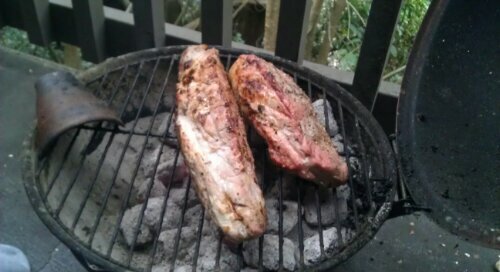 The pork was marinated in a nice chardonnay marinade, great stuff even if it was from a bottle! Here is how to make the dressing, the star of the show. 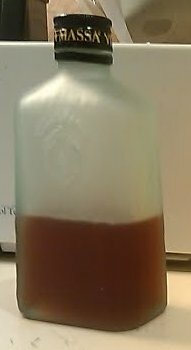 Blend and store in frig in glass bottle. I will have to say that while this dish sounded great, I wasn’t pleased with it. I may try another recipe along with mods I think will be good. It sure is healthy! 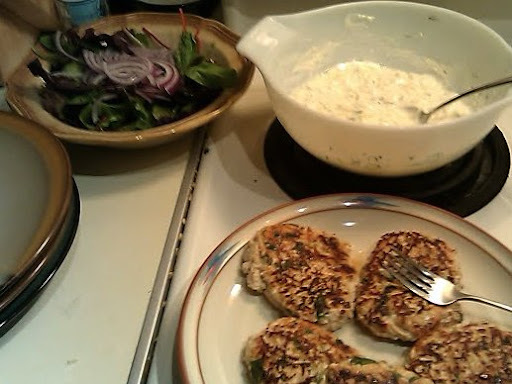 The Tzatziki sauce (one of my favorites) did turn out pretty good but I think I put a tad too much garlic in it. Did I say that???? 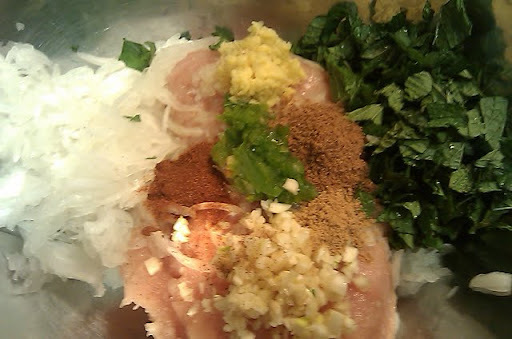 Put all ingredients into large bowl and mix well. Use your hands for best result. Form large size (oblong) kebab on skewers or into patties (like hamburgers). If you are planning to eat them in a pita make it more oval-shaped. Use one or two skewers into each kebab to made it easier to flip them. Fry them on a flat griddle brushed with a little bit of oil until both sides are cooked through on medium heat. 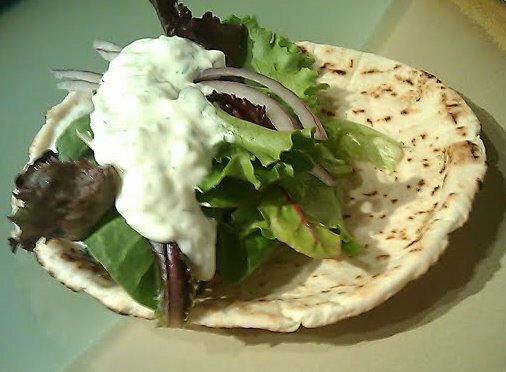 Gently press down and flatten them so they are like an oblong burger shape if you want to eat them in a pita as a Gyro. 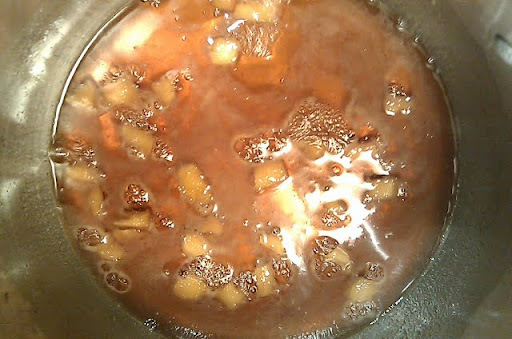 Mix well and allow to chill in fridge for 1-2 hours before serving. I served it with a mixed baby green salad and some sliced red onion. I also warmed the pita bread in the oven. If you have a wide mouth toaster you can use that. The Chia Ex’seed’ed All Expectations | Healthy Chow. This is just the type of information we hope to run across as we surf the internet, looking for healthy ways to cook those things we love. Today it was trying to find a healthy pancake recipe using oat flour. Nicole’s site is terrific and I know we’ll be trying a bunch of her recipes. Let the wild ruckus start! Well, it’s true: Way does in fact exist outside of Gem’s pretty little head. Of course anyone who knows her wouldn’t be at all surprised at her constructing auxiliary personalities. But thank you, Gem, for kicking this off. I shall endeavor to contribute my thoughts, inane though they may be. I have had a wonderful time learning to cook over the last several months with Gem. But it’s created a vexing paradox: at the same time I’ve been eating better than I ever have, I’ve also added about 10 pounds and have been feeling much less energetic. Granted, I’ve been getting less exercise, but still I’d expect that better overall nutrition would be making me feel stronger. Perhaps it’s not that simple, as Dr. D’Adamo’s book implies. The jury’s out on whether the guy has inhaled too many tofu fumes but I am anxious to try a strict diet appropriate for my blood type for 2 weeks and see what happens. It’s unfortunate that the person who would most benefit, potentially, from such a diet is also the most resistant to the idea. 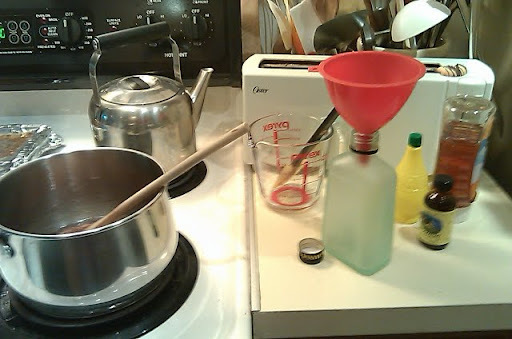 The upshot most likely will be that GemWay will be much busier in the kitchen, preparing meals for Type As and Os. Damn, how I wish I were an O! Oh wOe is me! I’m gonna write that doc and see about getting my blood changed. He probably gets that a lot.